Burj Al-luqluq Social Center celebrated graduation course of targeted women of this project in which participants were given beneficial certificates about how to start their own projects. The association manager Montaser Idkaidek, the project coordinator Rula Julani and ACAD’s manager Mara Alnatsheh were the attendance of this ceremony. 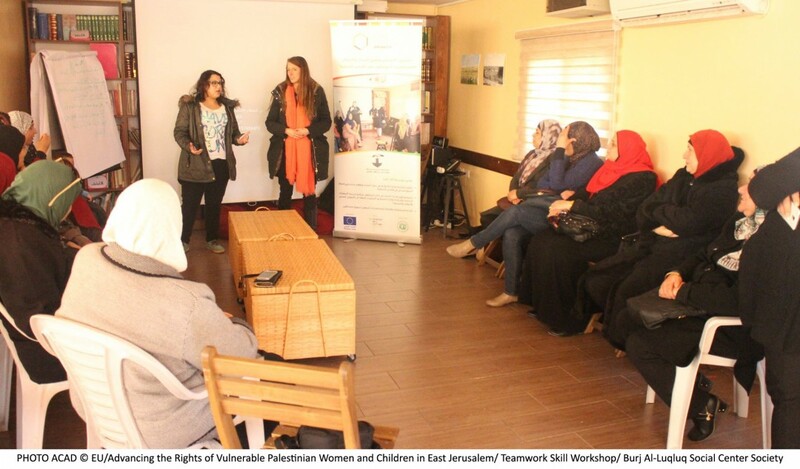 Women were trained on economic feasibility skills, knowledgeable study of the Jerusalemite market, buyer and seller needs, how to market a product, how to manage their own projects and an awareness sessions about how to build and manage budgets. Within the course, women trained among themselves on promoting and selling products in their neighborhood, outcomes were two ideas to support women’s livelihood and finding new job opportunities.